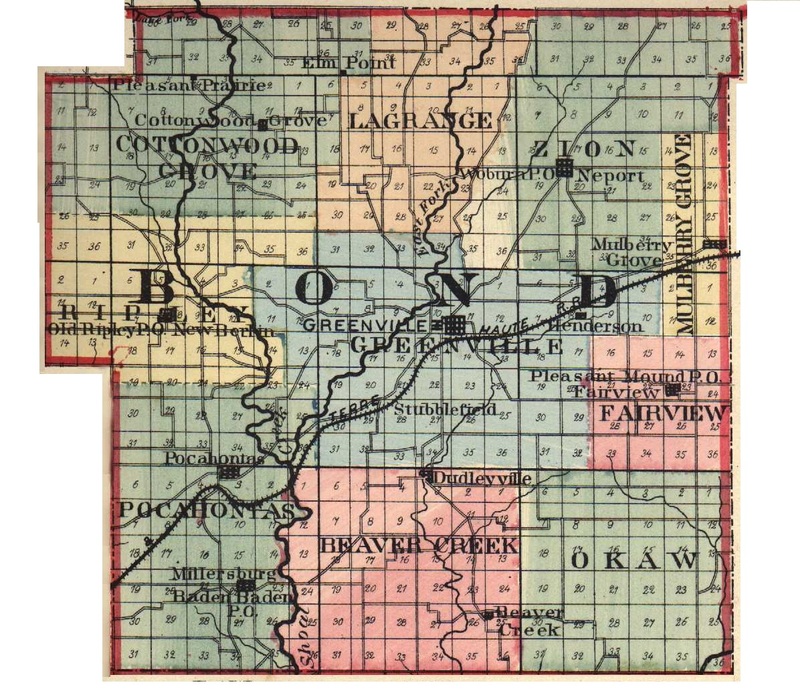 FOSTER F. WAIT, a prominent farmer of Bond County, was born in Central Township, November 14, 1837. He is also one of the brave veterans of the late war. His father came to this State in 1818 and became one of the most prominent men of his times. The family history is given in full in the sketch of Henry W. Wait, of this township. Our subject was reared upon the farm and was educated in the early schools of the time and place, but at the age of twenty-one he became a student at the University at Burlington, Iowa, and took a course in book-keeping and some literary studies also. Two years were pleasantly spent here, but in May, 1864, he entered Company F, One Hundred and Thirty-fifth Illinois Infantry, and was mustered into the service of the Union army at Mattoon, Ill. He did service in Missouri, on the Iron Mountain Railway and in St. Louis, doing guard duty, and was mustered out October 1, 1864. The marriage of our subject took place June 10, 1863, when Miss Margaret Corrie became his wife. She was born in this county March 13, 1843, and seven children have been the result of her union with Mr. Wait. Four of these are living, as follows: Sarah L. married Austin W. Grant and lives in Tulare County, Cal. ; Mabel V., lone C. and Lillian B. are at home. William F., George L. and Foster are deceased. After his marriage, our subject settled on a place near the home farm, and in 1865 removed to Madion County, where he remained upon a farm his father owned until 1868, when he returned to the old home farm and settled there. He now possesses two hundred and fourteen acres, all in one body and all improved. He carries on mixed farming and has become known as a breeder of fine stock. His improvements have all been substantial ones and those which add to the value of a place. In his political opinions our subject is a Republican and is always very outspoken upon the subjects of public interest. His relationship with the Grand Army Post in Greenville is very pleasant, and his position in the county is one of esteem, both on account of his own admirable qualities and also on account of his family relationship. Extracted 20 Dec 2016 by Norma Hass from 1892 Portrait and Biographical Record of Montgomery and Bond Counties, Illinois, pages 351-352.